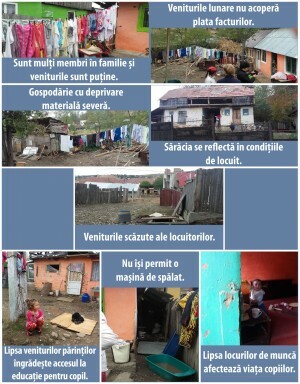 The Labor and Labor Advisory Center develops Local Development Strategy (SDL) Moinesti Municipality for Marginalized Urban Areas (ZUM) and functional urban areas related to “social innovation activities using the PhotoVoice method. PhotoVoice’s social innovation activity consists of the active involvement of 5 community members who capture the various issues faced by the area where they live and make a photo exhibition of the resulting and described images. The photographs taken capture specific socio-economic problems and the living conditions of the marginalized community. -Lowing: quality and poor living conditions; lack of access to utilities; the lack of children’s playgrounds, green spaces, parking places around the house; need to rehabilitate blocks. The aim of the project is to combat poverty and social exclusion in marginalized urban areas at the municipality level by stimulating community involvement in local development through the formation of a local partnership.